All of us look for cheap flight tickets or economical hotels for all our trip. Online Travel Agencies (OTAs) are taking over the hotel and airline booking business. They look enticing with their big investments and massive cash burn strategies that lure consumers with rock-bottom prices and exciting loyalty programs. A lot of their apps have found their way into our smartphones and have become an integral part of our travel planning process. In the hope for cheap flight tickets, have you ever booked a hotel or an airline ticket online and faced a problem? Well, we have, plenty of times and over the years have collected the below tips to use while booking a hotel/airline ticket online. It was just another weekend and we had booked a hotel in Wayanad through a popular OTA. Halfway through to the destination, we called up the hotel to keep them informed of our check-in time and got the shock of our lives! The hotel had no clue about the reservation and was running full. I called up the OTA who told me that they were yet to pass on the information to the hotel! Whenever you book hotels online, ALWAYS call up the hotel to confirm if they have received the booking or not. Packages are designed to pass off maximum margin to the agent/company and don’t necessarily add much financial value to the end customer. Package tours aren’t meant for those who want a flexible, relaxing tour since you can hardly make any changes to your itinerary. Not all Loyalty Programs save you money! We used to book a lot of hotels/flights online and collected loads of loyalty points. But each time I tried to use them, they always came with conditions. Like I couldn’t use them on certain hotels or couldn’t use them all at once. We recently booked a hotel online and out of 2000 points could only use 152 points; reason unknown! And by the time your next trip is due, most of the points expire. If flyers knew that the last-minute flight would be cheaper than usual, they would never purchase a more expensive ticket much earlier! The same goes for hotels, holiday packages, and other rental services. We once booked cheap flight tickets online only to realise that they didn’t allow check in baggage! Most travel sites buy packages from independent sellers or have a team that makes the packages sitting in an office. Because of this lack of ground experience, travel agents have an edge, most of whom have extensive travel experience. Agents have deep & reliable industry knowledge that will ensure travelers get the most value for their available budget. Travel Agents not only help plan your vacation but also take ownership of your package. And if something goes wrong, they are in a better position to clean up the mess rather than an OTA. Because here you’ll have to interact with different people each time you call them! Agents also have up to date knowledge of the destinations you book and can make changes in real-time if required. OTA’s hire professional photographers or put up highly edited images of hotel properties on their site. And as a result, attract the unassuming tourist into booking these. And when they land up there, they find the reality to be something else. While booking hotels, always look up their images on Google or on review sites. Some hotels deliberately avoid putting up pictures of the facade due to shady/busy locations. Since we travel a lot by car, we look up images of the hotel facade to check if they have parking on the road or inside the property! This seems to be a new trend, especially while booking airline tickets. 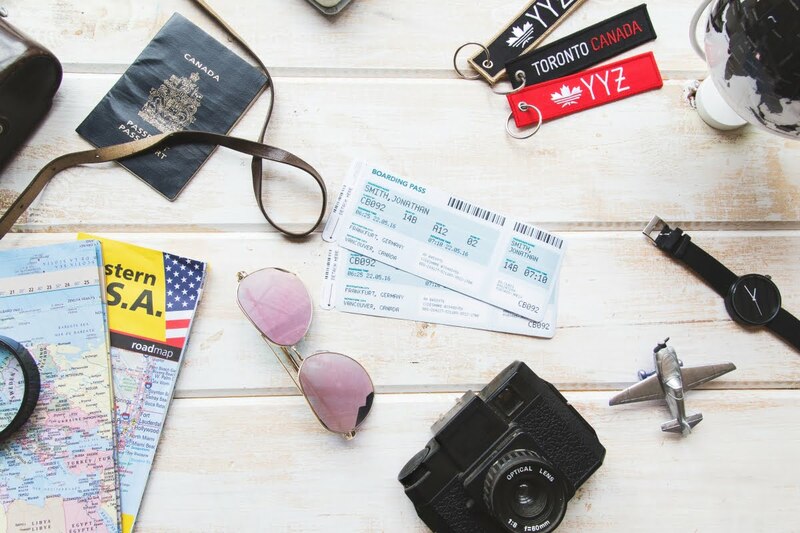 A lot of us get tempted into booking non-refundable tickets since they attract low prices but if there is a change in the travel plans, that’s when you realize you won’t get your money back! Refundable tickets can be canceled for a refund to your payment method and allow you to make changes to your travel plans. It’s a well-known fact that if you constantly check airline for a certain route, you are going to send the prices soaring after some time. Booking sites work on demand for airline routes and when they see a lot of queries coming for a specific route they will jack up the prices for sure. Instead set up a fare alert and book when you get the best price possible! Convenience fees, GST, online transaction charges, Credit card charges and the list goes on and on. When you compare prices online, do ensure that you navigate till the payment screen for the final list of prices as most of the OTA’s will show you tariff without additional charges and that can fool you into making a wrong decision. Check this article that has practical money-saving travel tips that helped us save almost 40,000 on our last trip.